Learn how we protect users on any device, anywhere. "There are only a few products I’ve used in my career that actually do what they say they’ll do and Umbrella is one of them." 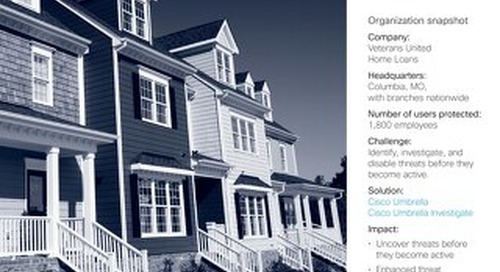 "OpenDNS Investigate helps us uncover and predict threats before they happen." By implementing a secure internet gateway, Axcess Financial secured access to the internet wherever users go, reduced its exposure to malware and improved the ability to detect, respond and remediate. 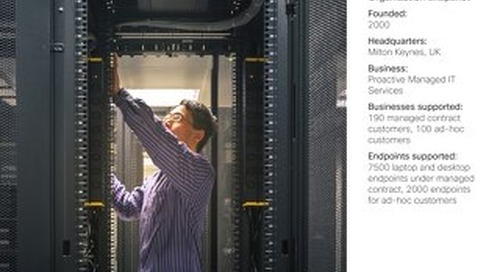 Staffordshire University chose Cisco Umbrella to safeguard the propriety research and sensitive personal data on its network while protecting students, staff, and community users on and off campus. 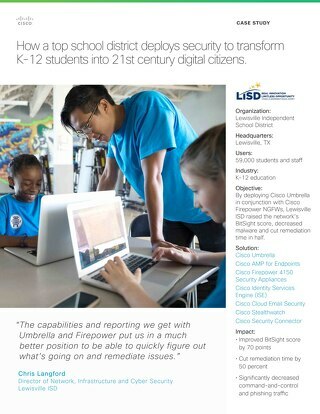 By deploying Cisco Umbrella in conjunction with Cisco Firepower NGFWs, Lewisville ISD raised the network’s BitSight score, decreased malware and cut remediation time in half. 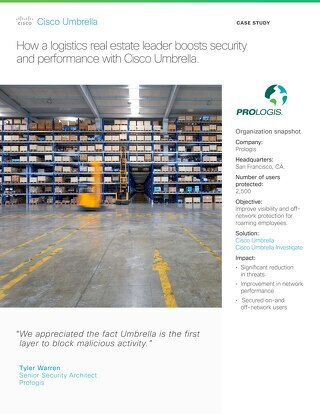 As Italy’s businesses grew vulnerable to the threat of malware and malicious attacks, service provider TIM sought an innovative solution to protect the network and data of its business users. 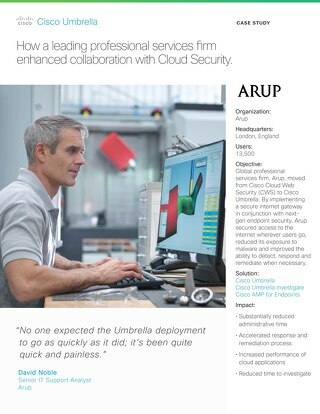 Arup secured access to the internet wherever users go, reduced its exposure to malware and improved the ability to detect, respond and remediate when necessary. 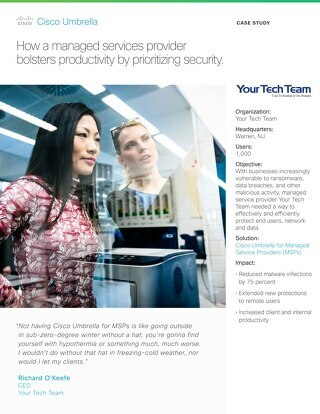 With businesses increasingly vulnerable to ransomware, data breaches, and other malicious activity, MSP Your Tech Team needed a way to effectively and efficiently protect end users, network and data. 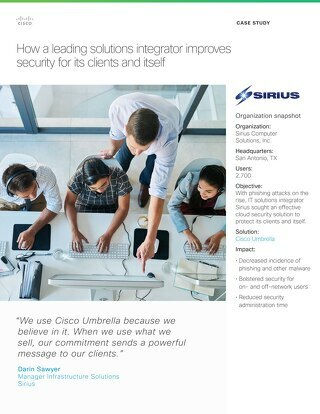 With phishing attacks on the rise, IT solutions integrator Sirius sought an effective cloud security solution to protect its clients and itself. 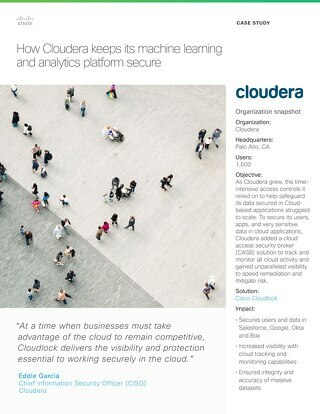 Eddie Garcia, CISO of Cloudera discusses how he secures cloud users, data, and apps with Cisco Cloudlock. 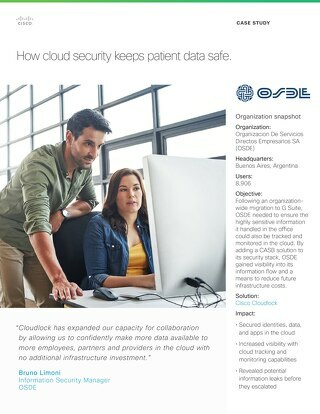 OU strengthened both its campus- and cloud-based security while preserving the openness that drives the university’s exchange of ideas. 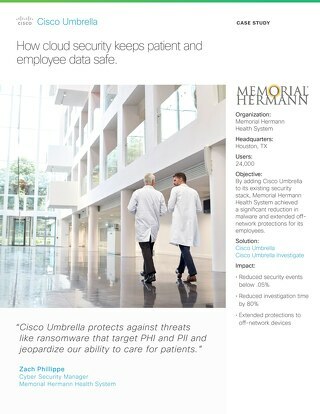 By adding Cisco Umbrella to its existing security stack, Memorial Hermann Health System achieved a significant reduction in malware and extended off network protections for its employees. 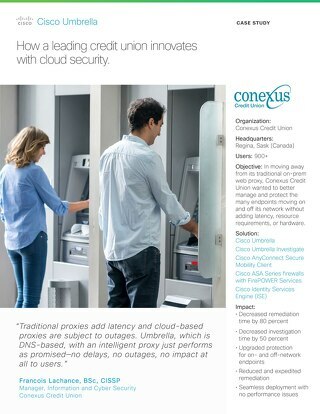 Conexus Credit Union wanted to better manage and protect the many endpoints moving on and off its network without adding latency, resource requirements, or hardware. 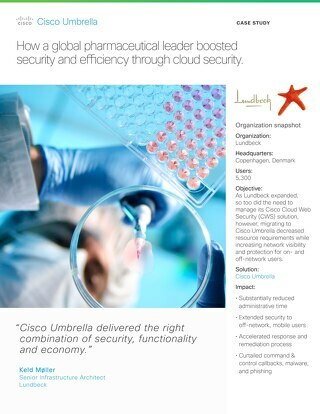 As Lundbeck expanded, so too did the need to manage its CWS solution, however, migrating to Cisco Umbrella decreased resource requirements while increasing network visibility. 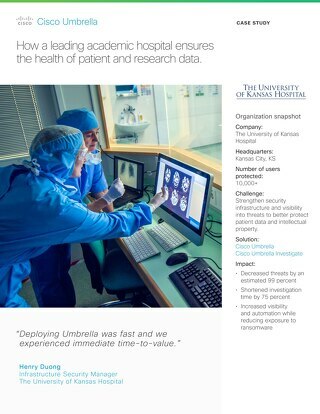 BorgWarner migrated from Cisco Cloud Web Security (CWS) to Cisco Umbrella to protect its growing network, without adding latency, resource requirements, or hardware. 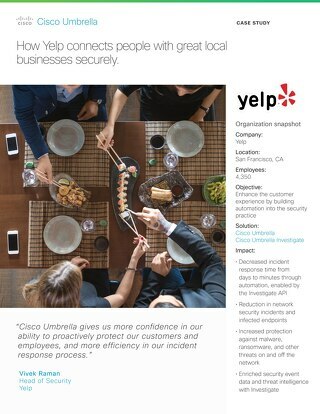 Yelp enhanced its customer experience by building automation into its security practice. As one of the largest school districts in the country, Washoe County Public Schools was looking to secure its network against threats for its 70,000 users in 108 schools. 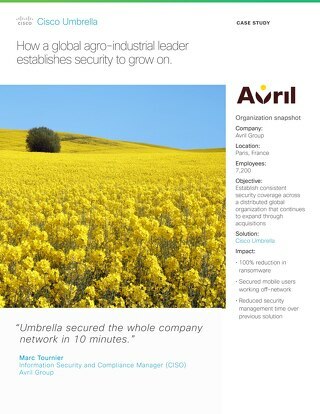 Avril needed to establish consistent security coverage across a distributed global organization that continues to expand through acquisitions. 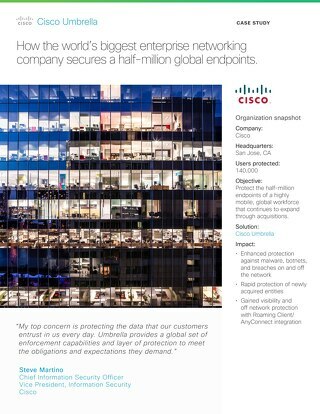 How Cisco uses Umbrella internally to protect the half-million endpoints of its highly mobile, global workforce.